Enjoy the best inspirational, motivational, positive, funny and famous quotes by Aristides of Athens. Use words and picture quotations to push forward and inspire you keep going in life! 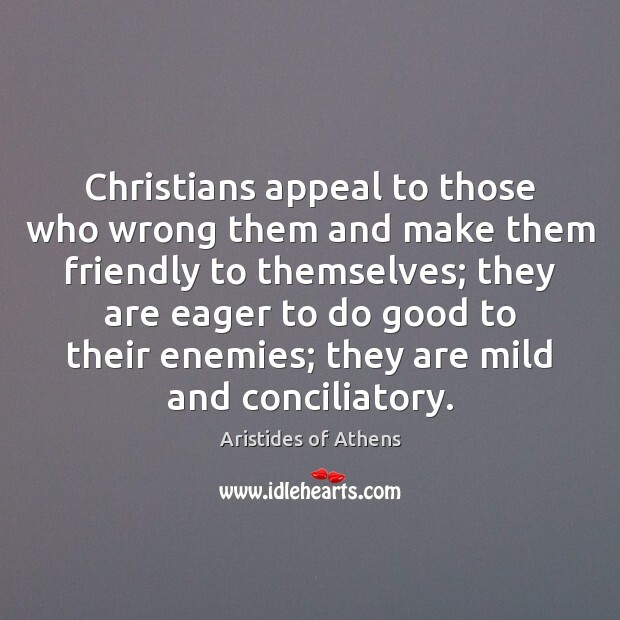 Christians appeal to those who wrong them and make them friendly to themselves; they are eager to do good to their enemies; they are mild and conciliatory.